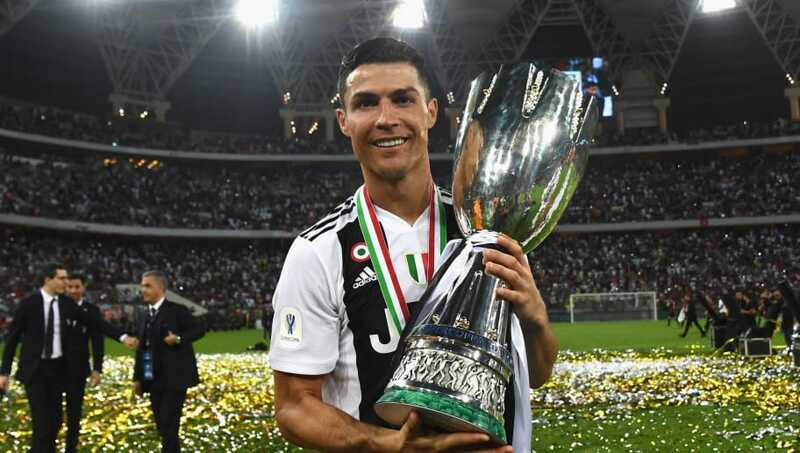 ​Cristiano Ronaldo has insisted that winning the Supercoppa Italiana is just the beginning of Juventus' objectives this campaign, after the Portuguese superstar earned his first title with the Bianconeri since his £105m move to the Turin outfit in the summer. The forward netted the winner in his side's encounter against Milan, heading home in the 61st minute to clinch Juve's eighth Supercoppa Italiana title overall for the side, and his first piece of silverware at his new club, who sit nine points clear at the top of Serie A. Speaking after the ​victory, Ronaldo expressed his joy at achieving his first title with ​La Vecchia Signora and mentioned that the club must remain focused in order to accomplish their goal of winning the Scudetto. As quoted by ​Football Italia, Ronaldo told Rai Sport: "I am happy, it was my intention to start 2019 with a trophy, I have my first title with Juve and I am very happy! "It is only the start, we take it one step at a time. We’ve got this Cup, now we must keep working hard to achieve the next trophy. "Serie A is always Juve’s principle objective, we are top of the table, but it’s a very long tournament and it’s going to be tough, so we need to keep working." The encounter took place more than 3,000 miles away from Italy, in King Abdullah Sports City in Jeddah, Saudi Arabia, but despite the heat both sides competed well in what was a very open game from start to finish. Patrick Cutrone hit the bar for the ​Rossoneri prior to Ronaldo heading home the only goal of the game, before Franck Kessié was sent off for a high challenge on substitute ​Emre Can. ​Ronaldo believed that the side did well considering the difficult conditions, and was delighted to have got on the score-sheet and made the difference. "It was a very difficult match, it’s very warm and hard to play in these conditions," he added, "We played well, created a lot of chances and obviously I am happy to have scored the winning goal." The goal was the Portuguese's 16th of the season in all competitions and he mentioned it was a testimony to his supporters worldwide. "I dedicate the goal to the team, my family, friends and everyone around the world who loves Juve and loves Cristiano."